May 5th is the day designated as the National Day of Prayer in the USA. 2011 is the 60th Annual Observance. Prayer has always been used in this country for guidance, protection, and strength. Our founding fathers acknowledged our freedoms as a direct gift from God and the only way to insure protection was through prayer. Enjoy these resources, take time to pray, and give the Almighty God the praise, glory, and honor He deserves! Intimacy with God – Do You Make This Your Key Priority in Life? Tap into the Great Power Source and Change Your Outlook! 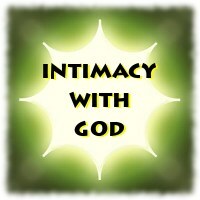 Intimacy with God is a great power source in life. 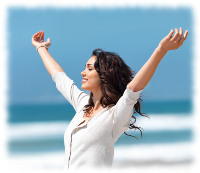 is become absorbed in our day-to-day problems and demands. All this tends to keep the focus on self. When we learn to look beyond the trials and obstacles and fix our eyes on Jesus, and believe God is Sovereign, we will begin to have a different perspective and response to everything we face. The Bible teaches us that God uses all things, even the painful things, for the good of believers. One of the positive results of trials is the intimacy that can develop when we turn to the Lord for help. God desires an intimate, loving relationship with us, and we should make this relationship our TOP priority. Intimacy with God begins with turning to Him and humbling ourselves before Him. It involves regular time in His Word, time in prayer, and patiently waiting for Him to speak to our hearts. As we develop a deeper relationship with the Lord, we will understand that every hardship has a purpose. We have lessons to be learned and maturity to be gained. And remember, God has promised to meet the needs of His children, if they come to Him, seek Him diligently, and obey Him. We can’t live above our circumstances in our own strength, but we certainly can by the power of the Holy Spirit. One – Give God the daily worship He deserves because of who He is and His finished work on the cross. Let Him know you love Him. Three – Give thanks regularly to God for all He has done in your life and in your world. Fourth – Take time to pray daily and ask God to supply your needs. What’s stopping you? Why not tap into the great power source in life? For each of us, our priority in life should be intimacy with God. May you continually walk closer to the Lord and live a life of growing prosperity! 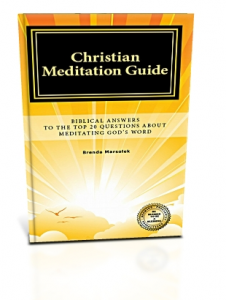 Christian Meditations – What Does Prayer Have to Do With Christian Meditation? How do Prayer and Meditation Relate to Each Other? 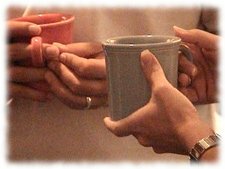 God’s desire is to have close fellowship with us, His children. And like all relationships that involves a commitment of time and two-way communication. From the earliest of days, prayer has been an essential part of meditation for Christians. Those who practice a deep, contemplative form of prayer often speak of it as a sense of “being one with the Lord” or being consumed in God’s love. But they don’t necessarily think of it in terms of meditation. We see in the scripture that the psalmist used meditation as an approach to God and prayed that the meditation of his heart be sweet (104:34) and acceptable to God (19:14). His meditation also led him to a deeper and greater understanding of God’s Word (Psalm 49:3). Christians sometimes think of meditation as quiet prayer, a prayer without petition, since the Lord already knows our needs. (Matthew 6:8) This might involve prayer that includes biblical confession of God’s Word. Praying God’s Word is praying His will. The practice of praying God’s Word is at the same time meditating His Word. The spiritual and physical discipline needed for regular prayer and meditation will soon become almost effortless with daily practice. Eventually we notice a life of living deliberately in the presence of God always; throughout the waking day. As we tap into the realm of the supernatural God provides, through prayer and meditation, we live a victorious life because we are connected to the life force and power of God. Do yourself a favor: Be the success God created you to be. How? By daily staying consumed and tapped into His presence, power, and love through prayer and meditation in the Word of God!